I’ve been off work since Wednesday but yesterday was the first day that I sat down at my laptop to actually write something. On Wednesday, Boyfriend and me went for an eight mile wander through the woods and over the hills near where we live to hunt down a Moravian settlement. The walk turned out to be better than the actual settlement but it was lovely. To compensate for all the healthy outdoor action, we followed it up with a trip to our local pub and Indian restaurant. It’s all about balance, you see. Thursday saw us taking a trip to the seaside to visit some of Boyfriend’s family and we stopped off at our friends’ house on the way back for cocktails and food. So what I’m basically saying is that I spent three days walking around and then eating and drinking plenty! It would have been nice to have had a little time to get properly stuck into The Eternity Cure because I am very much enjoying it but I have had such a lovely time doing everything else that I’m definitely not complaining. Sadly, blogging hasn’t even had a look in. I wrote half a review of Warm Bodies before getting distracted by Indiana Jones and Wolverine and just a *smidge* of chat on Twitter with my favourite fellow bloggers/tweeters about how flipping handsome Hugh Jackman (and much of the male species) is. I really liked The Uninvited when I read it earlier in the year (review here) and The Ninth Life of Louis Drax by Liz Jensen has been on and off my wishlist for ages. 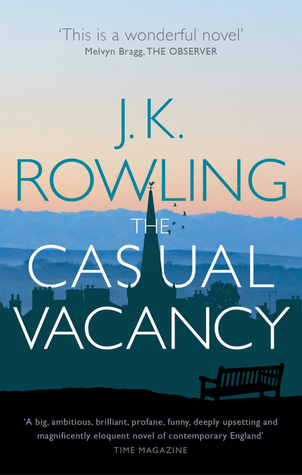 I’m sure that The Casual Vacancy by J.K.Rowling needs little explanation. Mixed reviews notwithstanding, I’m curious and my Dad recommends it. I now own five Brandon Sanderson books and have read ZERO. That is ridiculous. 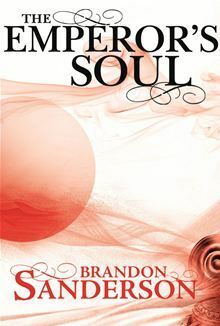 Why did I add The Emperor’s Soul by Brandon Sanderson to my already ludicrous pile of books by an author I haven’t yet tried? Because it is pretty, it was £1.99 and I’m pretty sure I read good reviews when it was released. I think this is relatively short so maybe it’s the introduction to Sanderson I’ve clearly been looking for. Have new books of your own to share? Head over to Books, Biscuits and Tea!